Midsummer Night is the second Aetherial Tales novel as well as the second book by British author Freda Warrington to be published in the United States. The first Aetherial Tales book is Elfland, but both this and Midsummer Night stand alone even though they are set in the same universe. The more recently published book does take place after Elfland, but it’s definitely not necessary to read the earlier book first. There are some minor characters that appear, but it doesn’t add much to the reading experience at all to know who are they are beforehand. After the recent accident that destroyed her dreams and changed her life, Gill Sharma just wanted some peace and quiet. She left London to stay at a cottage in Cairndonan in Scotland for 6 weeks, thinking it would be isolated and she could just be left alone. Instead, she finds that Dame Juliana, the owner of Cairndonan and a famous artist, is running an art class so chaotic that it reminds her of an insane asylum. Also Peta, one of the other art teachers, keeps trying to befriend her and even convinces her to be one of her subjects for making a mask in one of her classes. One day Gill leaves her cottage in search of a grocery store and finds herself in an unusual town. It has no roads and she finds herself entering what must be a pub with a great statue of an angel outside. At this point, she is in great pain from her injury, but a magnificent man named Rufus somehow makes her pain disappear. He then offers her a drink, and Gill accepts some fruit juice and tries to find out more about where she is. She’s told she is in Boundry, but later she cannot find anyone who has heard of this place – anytime she mentions it, people act as though she has lost her mind. That night when Gill is in her cottage, someone begins pounding on her door and yelling for her to help him. At first Gill is terrified, but he seems truly upset so she lets him in – and discovers it was the quiet man she noticed in Boundry with Rufus. He seems hysterical and unable to say much other than to tell her not to let him go back there, so Gill fetches Peta. The two women decide they want to find out just what is happening for themselves rather than involving any authorities, but they do involve Dame Juliana herself – who has her own secret fears that this man may be tied to her past and her artistic gift. After reading Elfland, reading Midsummer Night was a must. While I enjoyed Midsummer Night and think that it was better than Elfland in some ways (mainly in that it didn’t border on too much melodrama), my personal preference is Elfland. The newer novel didn’t have the same intensity and turbulence as the previous book, which had me thinking about it when I wasn’t reading it. The characters in Midsummer Night were likable but didn’t capture me the same way as Rosie and Sam and the others from Elfland. Midsummer Night was a good book that I’m glad to have read, but ultimately it wasn’t as memorable as Elfland. 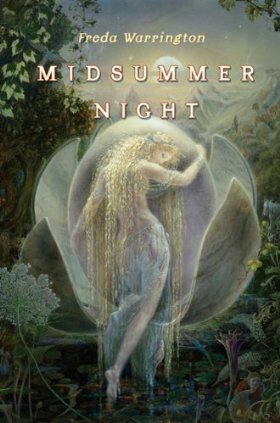 Personal preference aside, Midsummer Night is both very different from and very similar to Elfland. Both books have some beautiful writing and an interesting setting in the earth that is accessible to the Aetherial realm. 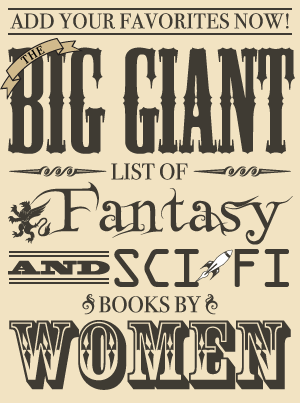 Each book starts out with a prologue that involves different characters than the ones introduced at the start of the first chapter, and both novels are character-driven but with very different protagonists. In Elfland, the main characters are children who end up as adults in their twenties by the end of the story, and it feels like a coming of age story in a lot of ways. As the protagonists grow up, they make a lot of mistakes and make huge realizations about life and themselves along the way. In Midsummer Night, the ages of the protagonists vary from youngish adults to a woman in her sixties. They still develop throughout the novel but to a lesser degree, and they have more past mistakes than ones made during the course of the novel (although these past mistakes do certainly play an important role in what happens in Midsummer Night). It’s also less intensely dramatic and more atmospheric than Elfland was, and Elfland had a lot of romance while Midsummer Night had very little. There’s also a little more explanation about how the Aetherial realm manifests itself on Earth in Midsummer Night, but Elfland also has the gorgeously written Aetherial creation story. While Midsummer Night contains a lot of different characters, the main focus is on Gill, an athlete whose career and engagement were shattered by an accident, and Dame Juliana, a renowned artist who is struggling to keep Cairndonan Estate because she hasn’t yet completed her master work titled Midsummer Night. Of the two, the latter is the more compelling although I still sympathized with Gill, who just wanted some solitude after her ordeal. Dame Juliana is in her sixties and has not sold any of her art in years, resulting in her financial difficulties. She is certainly a perfectionist who discards her creation as inferior when others think it is brilliant, but mostly she fears the unusual properties of her art and the origin of her gift – and does not understand either of these. Throughout the story she learns more about them as well as her family’s past, mostly through the journals left by her Aunt Corah, and the discoveries about the past came together well and really made sense given certain other characteristics of Dame Juliana. It does all tie in with the appearance of Leith, a young man trying to escape from Rufus, and more is revealed about the Aetherials. Midsummer Night did not have the same passionate energy that made me love Elfland so much, but it was still a very enjoyable book in its own right. With its elegant but not over-the-top flowery prose, immersive setting, well-developed characters, natural dialogue, and mystery-filled plot, it has left me eager for more Aetherial Tales. Where I got my reading copy: Review copy from the publisher (I requested one after reading Elfland and finding out there was going to be a new book soon).